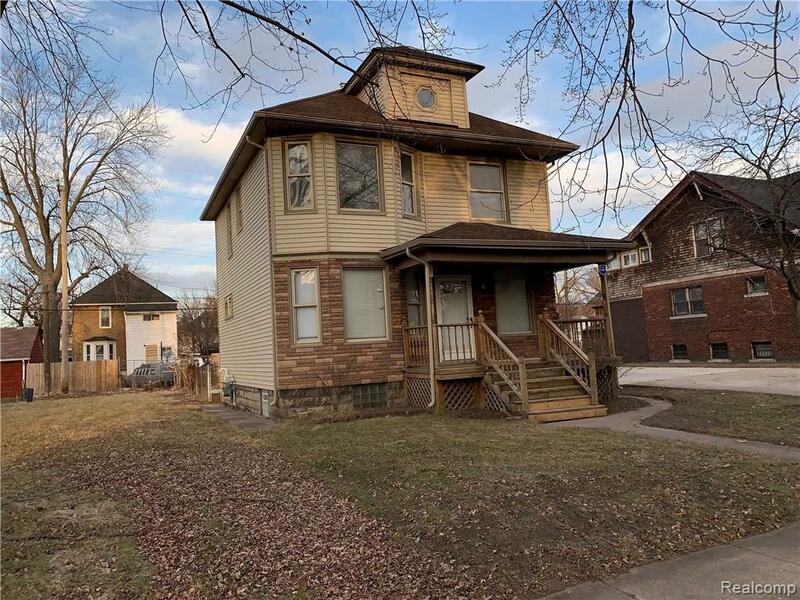 RARE FIND IN THE BEAUTIFUL CITY OF RIVER ROUGE SET ON 3 LOTS!YOU DO NOT WANT TO MISS THIS ONE! BEAUTIFUL OPEN FLOOR PLAN WITH NEW FLOORING, NEW CARPET UPSTAIRS, AND FRESH PAINT THROUGHOUT THIS SPACIOUS 4 BED AND 1.1 BATH COLONIAL HOME ALMOST 1400SQFT! SOLID WOOD DOORS, VINYL REPLACEMENT WINDOWS AND A ROOF THAT IS LESS THAN 10 YEARS OLD! TO TOP THINGS OFF, STEP OUT BACK THROUGH YOUR FRENCH DOORS AND ENJOY YOUR OVER-SIZED DECK THAT IS PERFECT FOR ENTERTAINING! STOVE AND REFRIGERATOR ARE STAYING TOO! LOTS LOCATED AT 30 LINDEN AND 34 LINDEN BOTH INCLUDED IN SALE!